Has anyone ever told you to take a “chill pill” or “chill out”? Chances are someone is telling you to calm down or relax and it has nothing to do with actually taking a pill. The slang phrase came into popular use in the 1980s, when attention deficit hyperactivity disorder (ADHD) was first recognized as a condition that affected the ability to concentrate, sit still, and pay attention. It is believed that the slang term “chill” meaning to calm down was first used by Sugarhill Gang in the song, “Rapper’s Delight” in 1979 and the Afrika Bambaataa’s song, “Zulu Nation Throwdown” in 1980. Oddly enough, in the 1870s, one could actually take a chill pill. 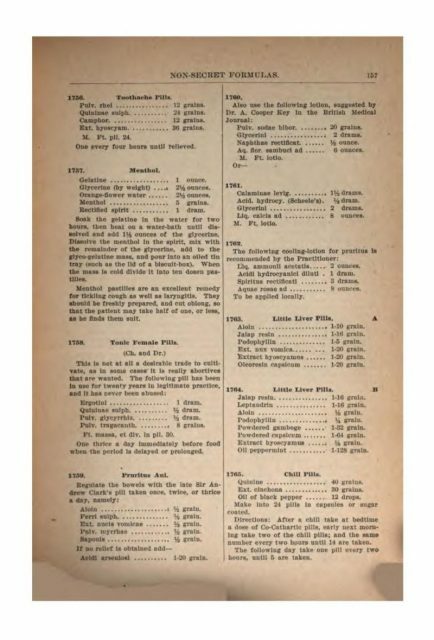 In an 1877 book for housewives, Housekeeping in Old Virginia: Containing Contributions from Two Hundred and Fifty of Virginia’s Noted Housewives, Distinguished for Their Skill in the Culinary Art and Other Branches of Domestic Economy, by Marion Cabell Tyree, there was a recipe for homemade pills called chill pills to help with intermittent fever. The ingredients were two drachms (about one eighth of an ounce) of quinine, one grain of arsenious acid (containing arsenic), one grain of strychnia (containing strychnine), twenty grains of potassium ferric hexacyanoferrate (Prussian blue), and one drachm of powdered capsicum (paprika or chili pepper). 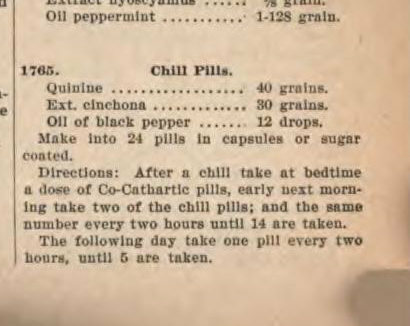 An 1897 book by Michael Griffiths, titled Non-secret Formulas: A Collection of Over Four Thousand Formulas and One Thousand Prize Prescriptions for the Use of Physicians and Druggists, has another recipe named chill pills that includes quinine, black pepper, and cinchona extract. Both of these books can be accessed for free on Google Books. In the 1950s, pickpockets used the term “chilling the mark” to denote victims who didn’t realize they had been robbed. The associated slang term of “cool” for something good originated in the 1930s and 40s as jazz slang. 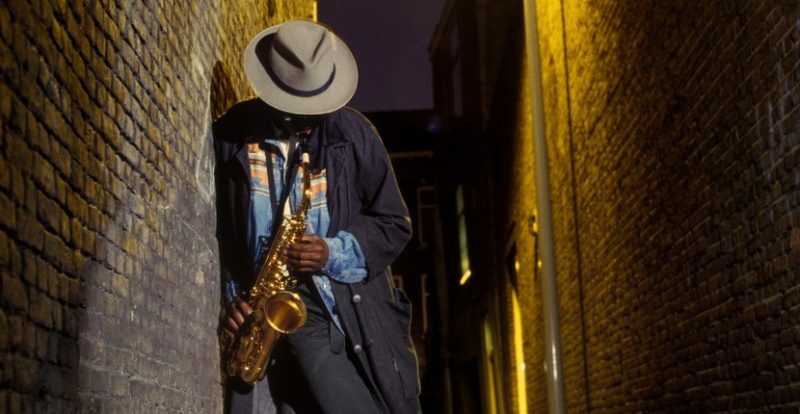 It was popularized by tenor saxophonist Lester Young to denote a style of playing as well as a style of life, according to British slang lexicographer Jonathon Green, author of Green’s Dictionary of Slang, a three-volume dictionary on the history and uses of slang published in 2010. “Chill, to me, is a lineal descendant of cool, and cool, of course, is very, very old,” writes Green. Aura Cacia sells a chill pill mist which contains sweet orange, lavender, peppermint, patchouli, sweet basil, and Roman chamomile essential oils. Haven Herbs sells Chill Pills made up of organic raw honey, tulsi, lemon balm, and rose essential oils. 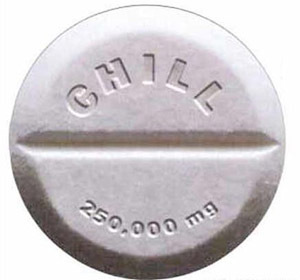 The etymology of the phrase “take a chill pill” is interesting in that, although today you’re just telling someone to relax; in the past, however, you could actually hand the anxious person a literal pill.